If you have struggled with your weight for many years, you might be tempted to use Hypnotherapy to help you lose weight. 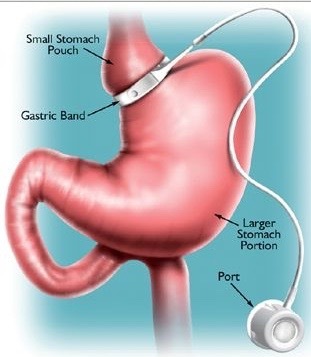 A few years ago, the Hypnotic Gastric Band made it’s first appearance in the Hypnotherapist’s practice. Since then it has grown in popularity due to it’s promise of helping people to eat less and to have the benefits of having a virtual gastric band fitted, without the risks of surgery. I was one of two hypnotherapists in Scotland at that time to embrace this new idea and since then I have helped many clients to lose weight but I thought it was time to write a post to help people understand more about Hypnoband. Both about what it does and what it doesn’t do. I always attempt to match my clients with the best technique and approach for them. I don’t simply use one technique with everyone. Years of experience of helping people to lose weight has shown me that each client has a different problem with their weight and therefore the therapy must be tailored to each unique person attending for Hypnotherapy. So my quick answer to this question is…. No, it isn’t suitable for everyone. If you’re thinking about having Hypnoband then it’s best to have a short chat on the phone with the therapist first. The therapist can ask you some questions which will give them some information that can save you some time and potentially money! Any good Hypnotherapist will be honest with you and will not take you on to do Hypnoband if they don’t think it’s going to suit you. What happens if i choose to have hypnoband? The Hypnoband is a standardised approach that involves four to six sessions of Hypnotherapy focussed on helping prepare you to experience a virtual gastric band operation. Session one – This session is an assessment where the therapist asks you some questions about your health and eating habits. Session two/three – This the first session of Hypnosis, where the therapist introduces you to Trance and gives you some specific suggestions to help you to get into the ethos of the Gastric Band. The therapist also helps you understand your thinking problems with food through using a CBT style technique. Final Session – This session is a follow up session to check how you are doing. There is also the possibility to make an adjustment to your band if necessary. Hypnoband works extremely well for some people. Especially for those people who simply partake of large portions of food at meal times. I works by helping the unconscious eating patterns. However it is not recommended for people who have eating disorders, thyroid problems and other physical health issues which cause obesity. Some medications are also know to cause obesity and increased appetite. What can I do instead of Hypnoband? Other Hypnotherapy approaches for Weight Loss are sometimes more effective for some people. When I take on a new client I want to find out what is the root of the problem and what is actually causing the overeating and to help them to deal with it. It’s necessary to look at all aspects of the problem. I will ask questions about stress, relationships, self esteem and confidence, emotional issues and other important questions to help me to formulate a series of sessions to treat the problem in the best way. Often feelings such as loneliness and especially emptiness, can lead to overeating. I try to assess my clients needs and help them to achieve what they want. I truly believe that addressing these issues gives the best chance of long term weight loss with Hypnotherapy. Sometimes clients will choose Hypnoband because they see it as a bit of a quick fix. It simply doesn’t go into the depths that I go to with clients who choose my other approaches. Let’s be honest, the thought of crying in a therapy session and exploring emotions is not always a comfortable one. Especially because many of us are brought up to keep our emotions private and suppressed. Therapy can be challenging at times. It can challenge the beliefs you have about food for instance and can cause you to question things in your life but I think it’s worth the tears. After all, the tears are already sitting under the surface just waiting for an opportunity to help you to change and become more comfortable. Tears are a natural expression of sadness, loneliness, frustration and even anger, as well as happiness. These are exactly the kind of feelings I help my clients to handle differently rather than reaching for the chocolate, crisps, cake or ice-cream. If you are brave enough to enter the therapy room, and yes, it takes some courage in the beginning, you’re likely to feel a great sense of relief and will learn a lot about yourself and how to better cope with your life. I will take good care of you. I am supportive and compassionate. Having been a therapist for over fifteen years, there’s almost nothing I haven’t heard about in the therapy room. I am not easily shocked and I don’t judge anyone for the things that happen in their life. We are all just trying to survive after all and find a little bit of happiness. Your mind has an abundance of resources and capabilities that you’re unaware of and using hypnotherapy can uncover these resources and literally reroute the patterns of your brain. Eating habits can be altered to allow you to lose weight. I don’t encourage clients to diet. Instead I measure success in habit change which supports weight loss. If you have struggled with your weight for many years and want to do things differently, then there are Hypnotherapists around who can help. I can normally offer a clients a session within a week or so but i can also help you decide if it’s the right thing for you through having a short phone discussion. There really is nothing to fear. Give me, Rae Jenson, a call on 01506 830190.